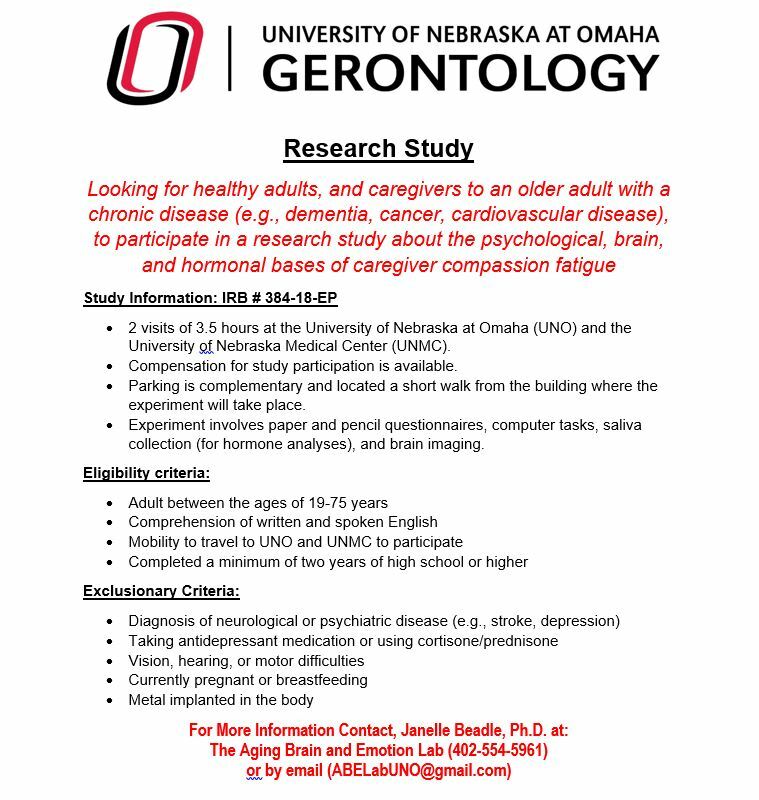 We are looking for healthy adults and caregivers to an older adult with a chronic disease (e.g., dementia, cancer, cardiovascular disease) to participate in a research study at the University of Nebraska at Omaha (UNO) and University of Nebraska Medical Center (UNMC). The study involves two visits of 3.5 hours each. One visit will take place at UNO and one visit will take place at UNMC. 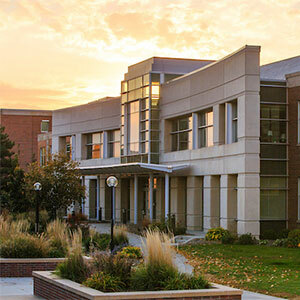 Compensation for study participation is available and parking is complementary and located a short walk from the lab. The experiment involves completing questionnaires and computer tasks, taking samples of saliva for hormone analyses, and undergoing brain imaging using functional magnetic resonance imaging. To be eligible for the study, you must be 19-75 years of age. In addition, to be eligible you should have comprehension of written and spoken English, mobility to travel to the UNO campus, and have completed a minimum of two years of high school or higher. You are not eligible for the study if you have a diagnosis of a neurological or psychiatric disease (e.g., stroke, schizophrenia), vision, hearing or motor difficulties, or if you are currently pregnant, have metal implanted in your body, or are taking an antidepressant medication or glucocorticoid-based oral medication or cream (e.g., prednisone, cortisone). For more information about the study, please contact: Janelle Beadle, Ph.D. at the Aging Brain and Emotion Lab (402-554-5961) or by email at (ABELabUNO@gmail.com).